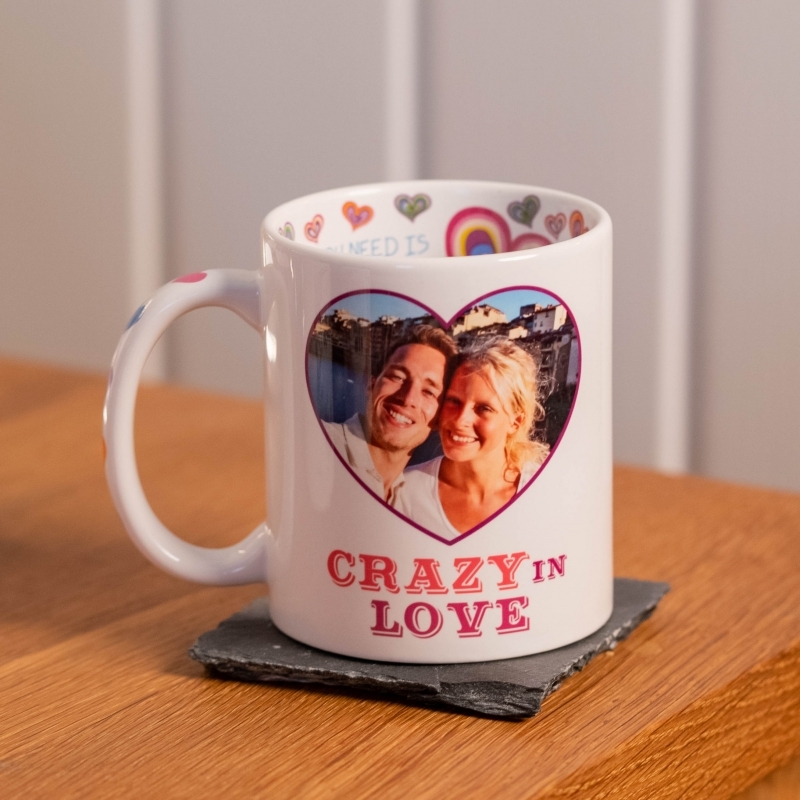 A delightful & colourful, hand printed, alternative photo mug - Makes the perfect Valentine's Day gift! 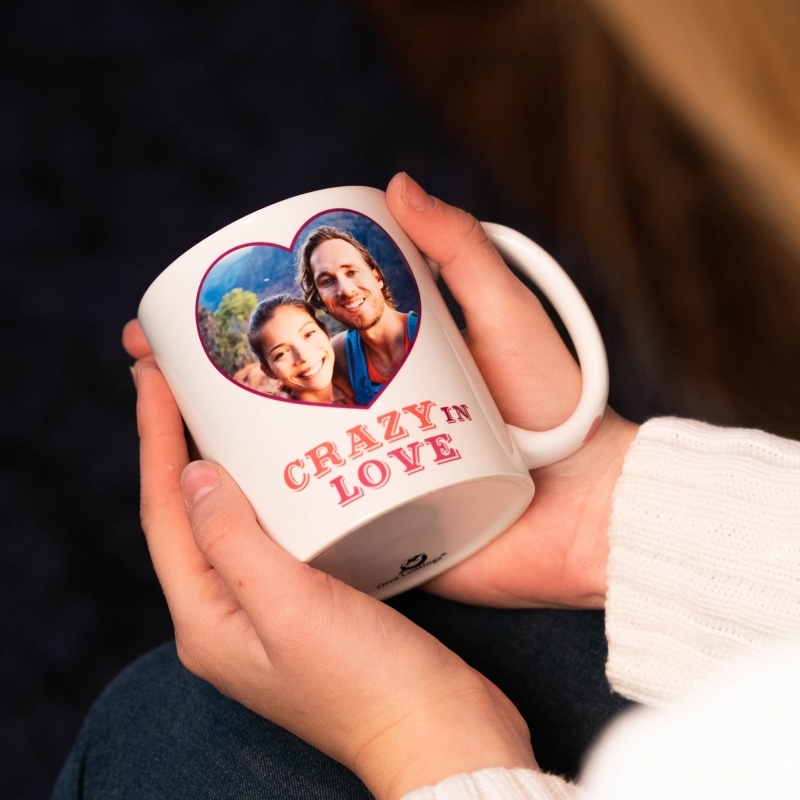 These mugs feature a photo and message of your choice (ie. 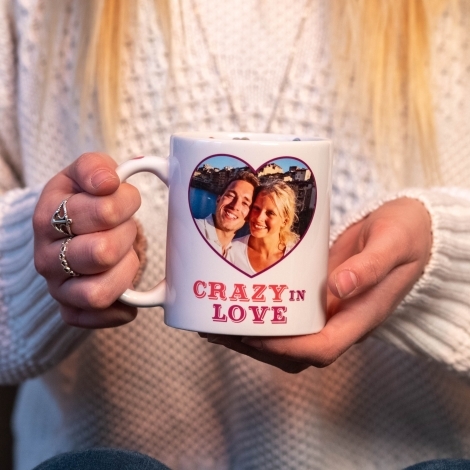 crazy in love!). 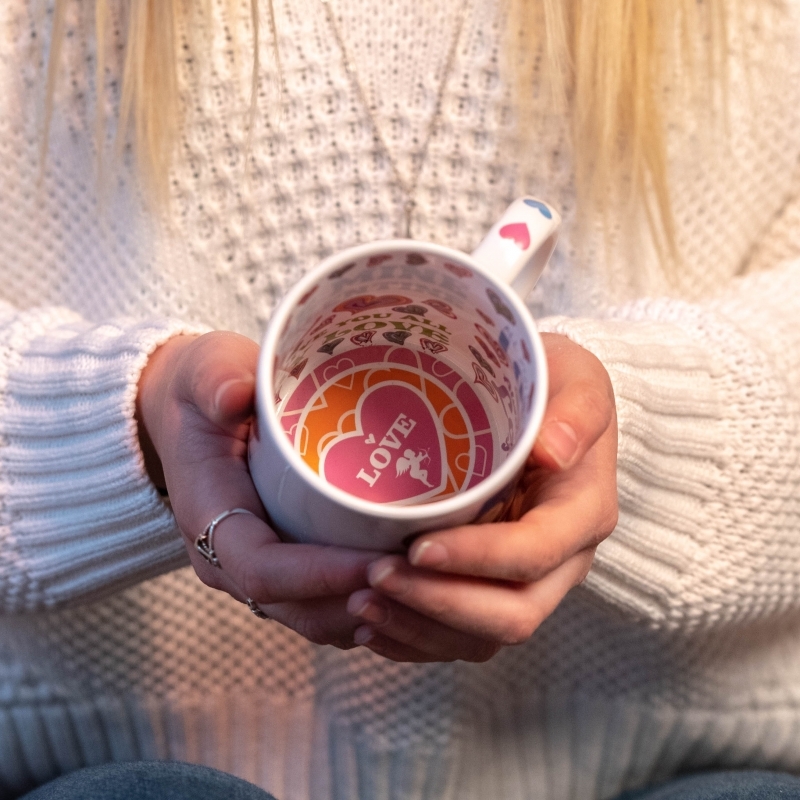 The inside of the mug is covered with messages of love..... perfect for Valentine's Day gifts , Weddings, Anniversaries or just to tell someone you love them! We can gift wrap and send directly to the lucky giftee! The item will be wrapped in tissue and presented in a box in a cotton gift bag. 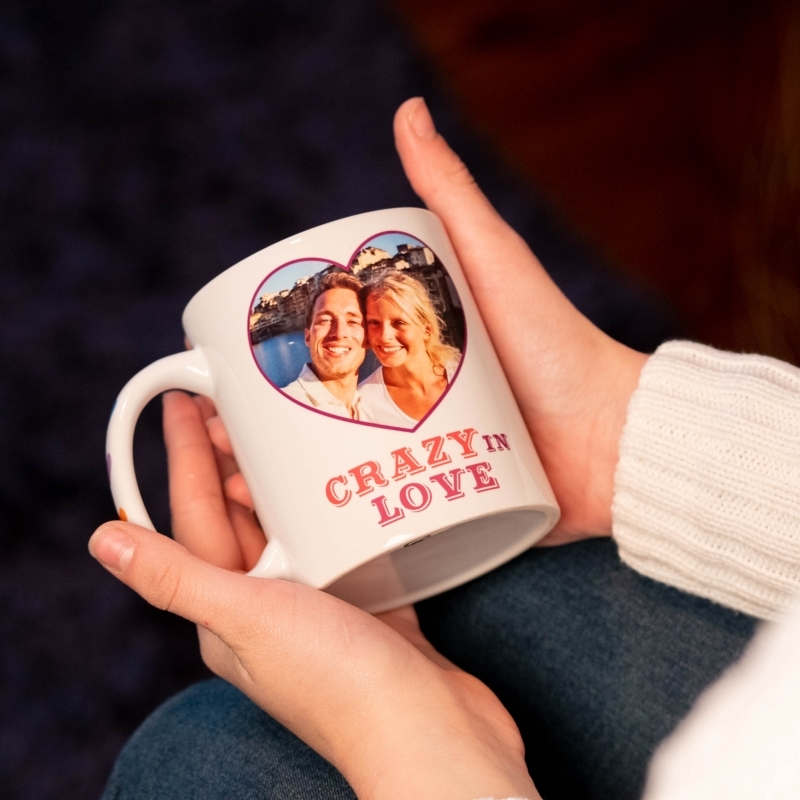 Remember to add gift options and write a gift note that will be included with the package and select gift receipt so any prices won't be shown. All our personalised gifts are made to order, therefore the sky's the limit in terms of personalisation! If you would like anything specific designed especially for you, or just simply changing fonts / colours etc. then please don't hesitate to contact us through the Customer Enquiry button. 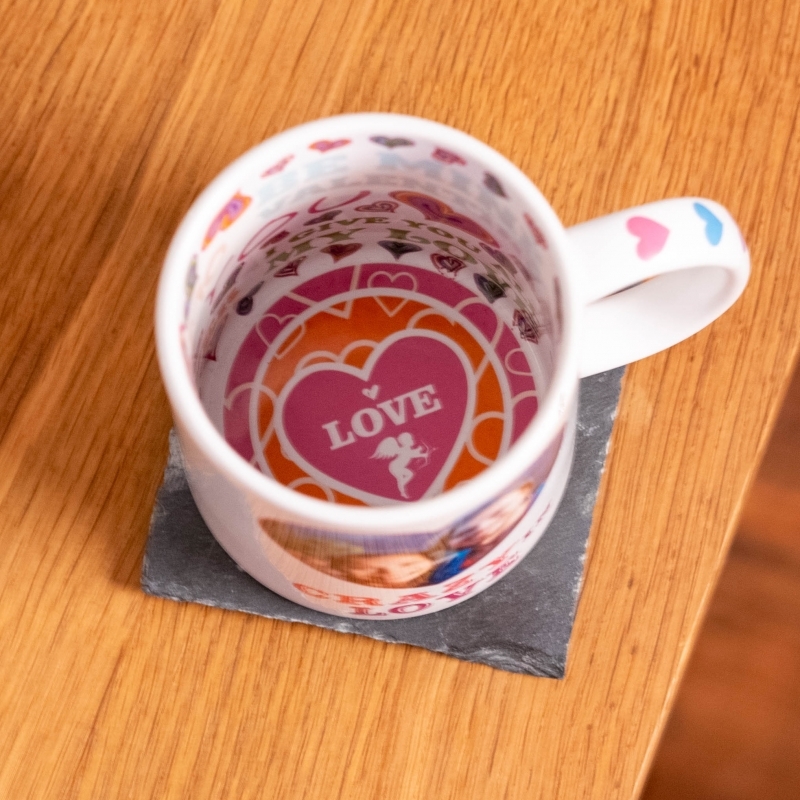 For more gorgeous personalised baby and children's clothing and completely unique, personalised gifts, please see the rest of our fab collection. 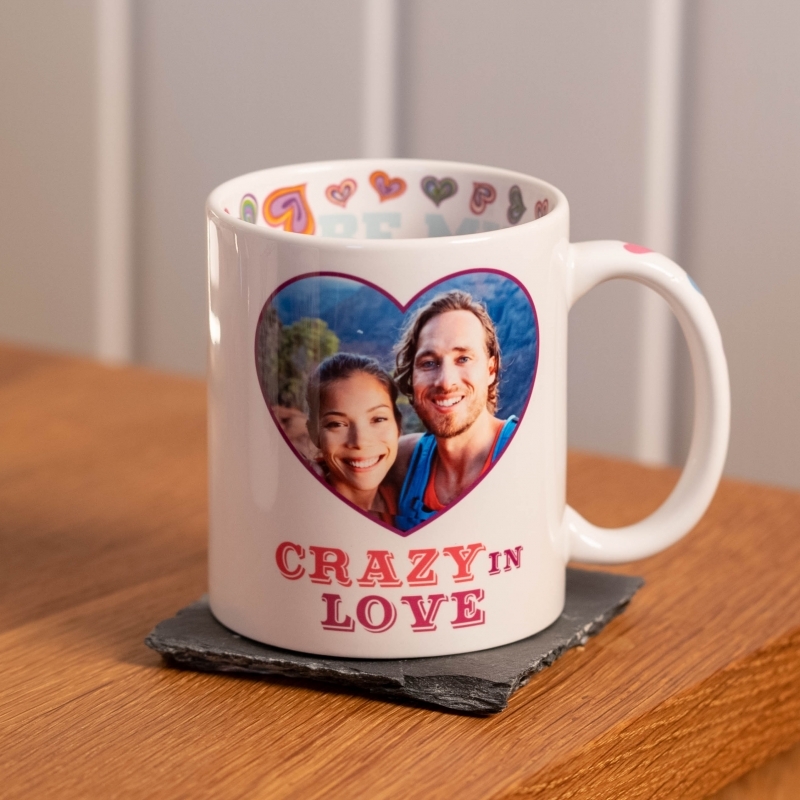 All our ceramic mugs are dishwasher and microwave safe with no deterioration in quality.